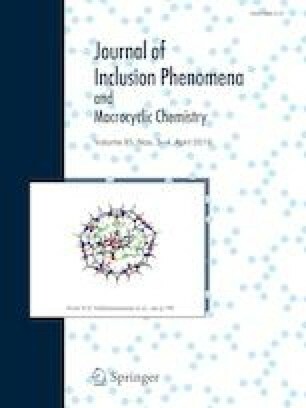 Cyclodextrins (CDs) and their inclusion complexes are known to self-assemble in aqueous solutions to form aggregates and the physicochemical characteristics of guest molecules have been linked to the aggregate formation. A series of parabens was selected as model compounds due to their small size (aromatic ring fits in the cavity) and different side chain length. In Part 1 it was demonstrated that CDs and parabens form a range of soluble and insoluble complexes dependent on the type of CD (native or hydroxypropylated αCD, βCD or γCD) and the length of the alkyl residue of the parabens. Furthermore, phase-solubility studies suggested that higher order complexes (e.g., aggregates) were formed. Here we apply osmometry and permeation studies to evaluate if and how the alkyl chain length of the parabens influences the process of aggregate formation. Furthermore, the possible effect of CD aggregates on permeation profile of parabens is also elucidated. Changes in osmometry correlate with the type pf phase-solubility profile. For AL-types total osmolality remained unchanged throughout experiment, while for B-types the osmolality of systems displayed significant changes mainly due to precipitation of poorly-soluble complexes. The permeation method is an effective and useful method to detect and evaluate self-assembly of CDs and to detect aggregate formation in aqueous γCD and HPβCD solutions containing parabens. Generally, all parabens modified the natural aggregation behavior of HPβCD and γCD as the apparent critical aggregation concentration (cac) values for paraben/CD systems decreased compared to those of pure aqueous CD solutions. The longer the alkyl side chain, the greater was the promotion of aggregates formation (methyl < ethyl < propyl < butyl) and, consequently, more and larger aggregates are formed. These superstructures are responsible for the observed changes in apparent cac and flux values, as well as, for the observed slopes greater than unity for the phase-solubility diagrams. The financial support received from the Institute for the Promotion of Innovation through Science and Technology in Flanders (IWT) (Grant No. 135040) is gratefully acknowledged.